You’ve heard about “fake news.” What about “fake buddha quotes”? Bodhipaksa on why, when it comes to dharma, you can’t believe everything you read on the internet. They’re everywhere you look. In Facebook memes, quotes sites, blog articles, and even in published books, Hallmark-style Fake Buddha Quotes (FBQ) abound. I first started to document these a few years ago after spotting some obvious fakes on Twitter. 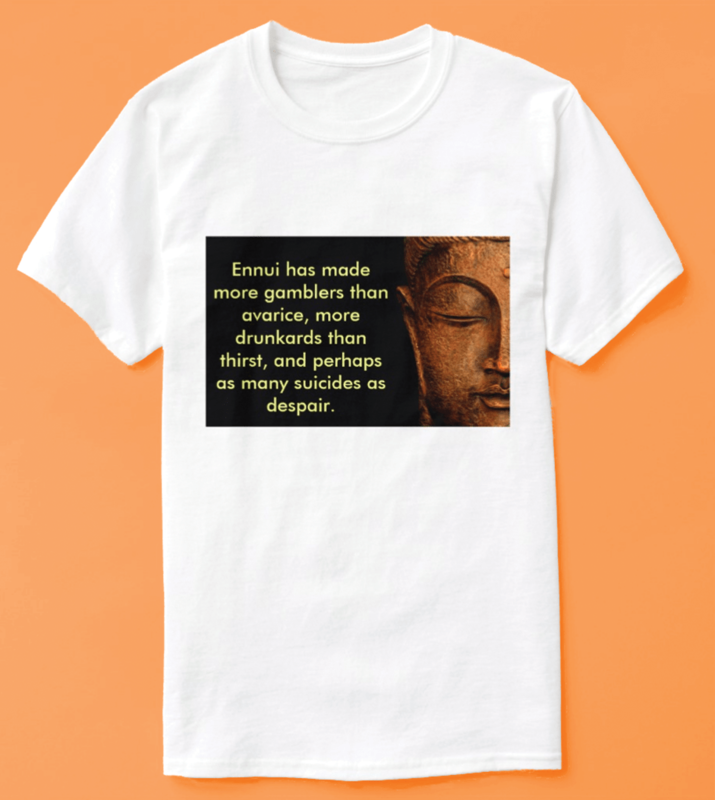 As they accumulated, I began detailing how to tell when quotes are fake, identifying their origins when I could, and offering some genuine scriptural quotations to show what (as best we know) the Buddha really taught. Fake quotes became teachable moments. The most common FBQ giveaway, usually, is the style, which may be too flowery, poetic, or literary. Sometimes it’s the vocabulary, which sounds too contemporary for someone who lived some 2,600 years ago. 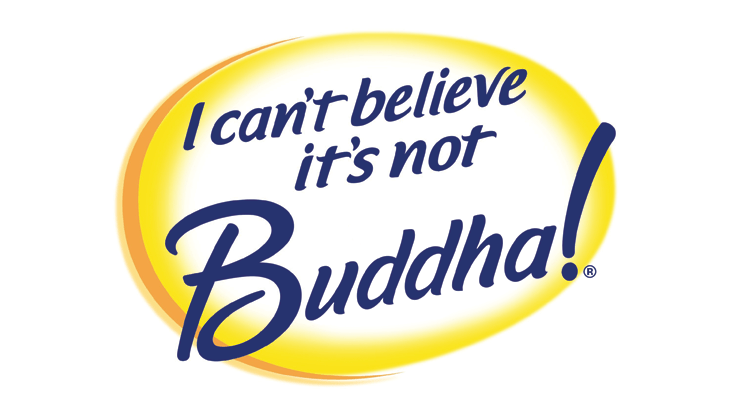 How do Fake Buddha Quotes arise? There are simple errors of attribution, where someone else’s words have somehow been ascribed to the Buddha. Then there are the “lost in translation” quotes where someone has creatively rendered the Buddha’s words into a “new, improved” version that may express their own view of spirituality but are so far from the original meaning that they’re essentially fake. And sometimes people just make up a spiritual-sounding quote and stick “—the Buddha” on the end. But it can be hard to tell; I’ve been convinced a quote is genuine only to discover that it’s not. If you can’t find a quote in the scriptures we should regard it as fake. 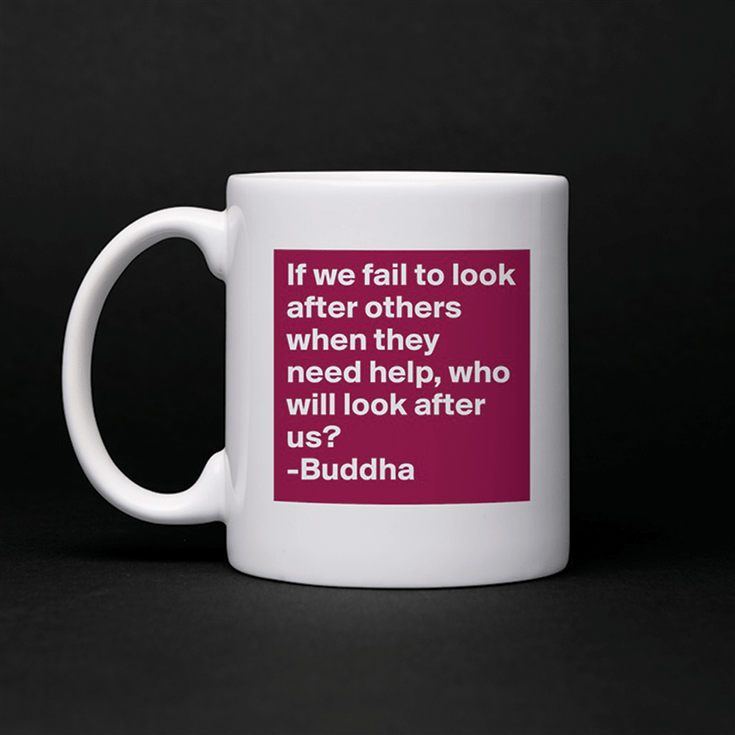 Is there such a thing as a genuine Buddha quote? We can never know! The Buddha didn’t write anything down. The best record we have of what the historical Buddha said is found in the scriptures of Nikaya Buddhism, including, but not limited to, the Pali canon. But these teachings were passed down orally for hundreds of years before being committed to writing, and in the process they were simplified, edited, and made easier to memorize by being made repetitious. 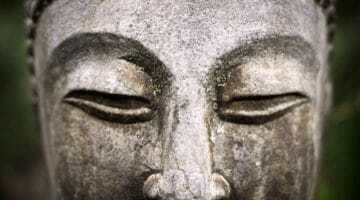 There’s no guarantee that anything in the scriptures is exactly what the Buddha said. But it’s the best we have to go on. However, we don’t have to be certain about what the Buddha did say in order to know what he didn’t say. My rule of thumb is this: if you can’t find a quote in the scriptures—any scriptures, including those of the Mahayana traditions—we should regard it as fake. If there’s no evidence of him having said something, then we shouldn’t claim he did. People often tell me that the Buddha was “too spiritual” to be bothered about being misquoted. But the reality is that the scriptures are full of stories in which the Buddha sets some seeker straight about what he’s said, and where he condemns those who have misquoted him. 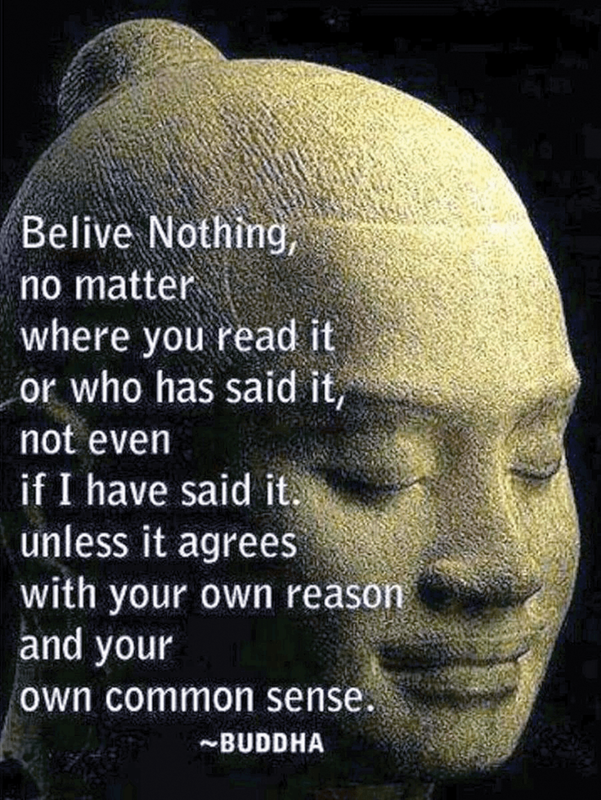 I’ve devoted a lot of time to rooting out and debunking these fake Buddha quotes. Here are some of my favorites. Did the Buddha say something even vaguely like this? This quote is often attributed to the Buddha, sometimes to “unknown,” and occasionally (and perhaps more accurately) to the Chan patriarch Seng-Ts’an, aka Sengcan, who died in 606. 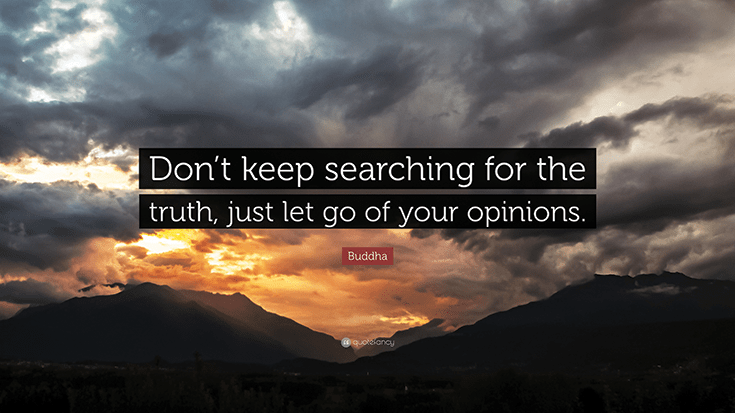 The Buddha did in fact have a lot to say about letting go of (or not clinging to) opinions, although the term he used was ditthi, or view. He repeatedly pointed out the need to renounce wrong (spiritually limiting) views and to embrace right (spiritually liberating) views. Only in this way can we reach nonview. In fact, one of the most famous similes in the Buddhist scriptures, found in the Alagaddupama Sutta, describes right view as being like a raft that helps us cross a river to get to the further shore—awakening. The raft is abandoned once its job is done, but without the raft of right view we have no way of making progress. Whatever’s not full makes noise. Whatever is full is quiet. Yes… and no! Many fake Buddha quotes are of course dharmic in spirit, sometimes even being paraphrases of scriptural text. But a number of them misrepresent the Buddha’s teachings. One kind of distortion we see in these fake quotes is the importation of concepts from other spiritual traditions. The final sentence—“You are what observes, not what you observe”—comes not from Byrom, but from the writings of Robert Earl Burton, founder of the California-based Fellowship of Friends, which describes itself as a “fourth way” spiritual tradition along the lines of Gurdjieff and Ouspensky. The concept of a “witness consciousness” is drawn not from Buddhism but from the Advaita Vedanta tradition. Hinduism is concerned with identifying the “real self” (atman in Sanskrit, atta in Pali), which in this case is taken to be the mind’s observational activity. The Buddha’s position regarding views of the self was utterly different. He pointed out that anything you might take to be the essence of who you are—your physical form or your consciousness—is in fact anatta (not self). On the way to awakening, all self-identification is to be abandoned, and you certainly cannot take the part of yourself that observes experience—or any part of yourself—to be the essential “you.” So this quote, which purports to be the Buddha’s teaching—and is often cited by Buddhists—directly contradicts the dharma. Actually, yes! This one is more or less legitimate. It’s from a well-known passage in the Vinaya (the book of monastic conduct) about a monk who was sick. One translation renders it as, “If you don’t tend to one another, who then will tend to you?” In our version here, it’s been changed from second person to first, but otherwise it’s accurate, and it would seem excessively nit-picking to call it fake. Not really. 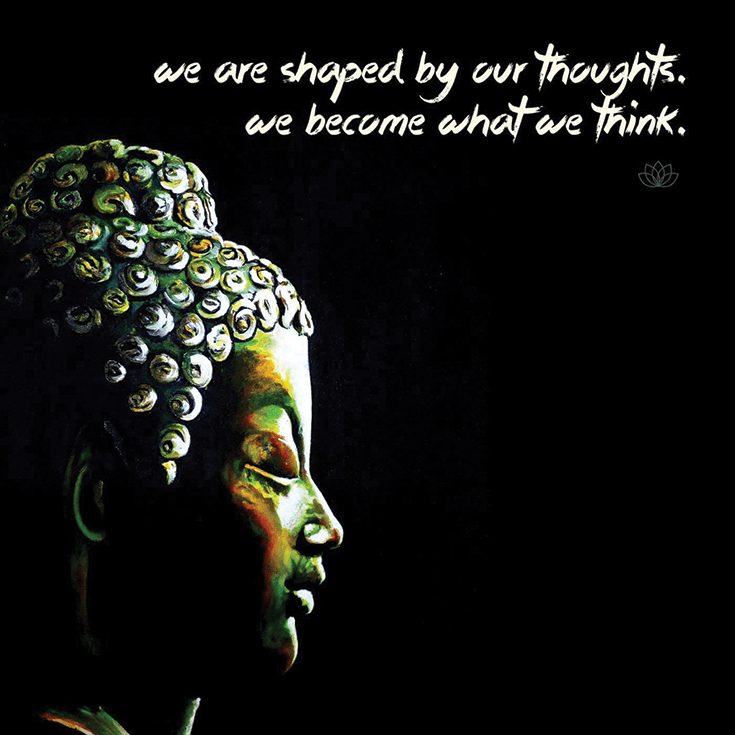 Often attributed to the Buddha, the quote is actually by the American motivational speaker Zig Ziglar. 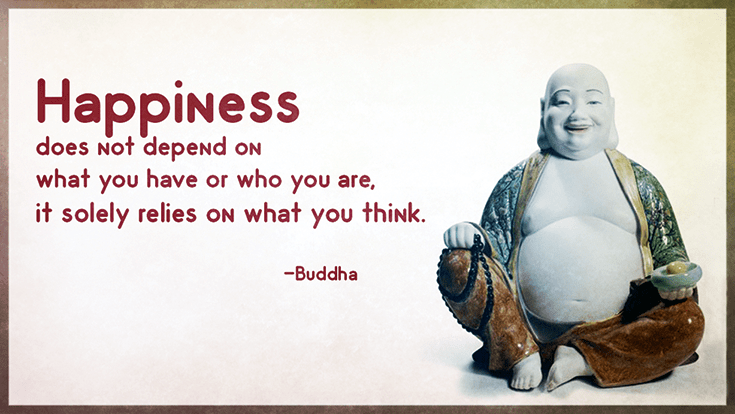 You see, the Buddha did not teach that happiness depends solely on our thinking. Our speech, our actions, and (above all) our volitions are all important in determining whether we are happy or whether we suffer. Thought is just one part of it. Sorry. Completely bogus. There’s nothing in the Pali canon where the Buddha talks about the meaning of life, “the secret of existence,” or any such thing. 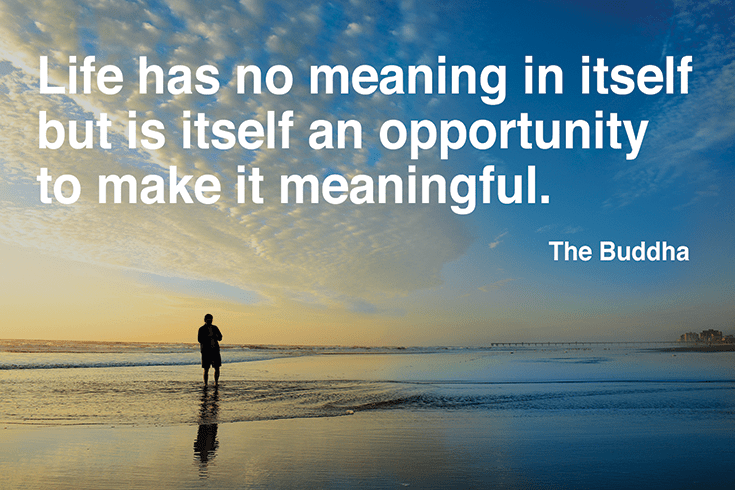 The phrase, “the meaning of life,” is actually quite modern, at least in English. I haven’t found any instance of that expression before the mid-1800s. All the earliest references to the “meaning of life” come in a Christian context, at a time when Christianity was emphasizing the development of character. That makes this quote rather ironic: what does it say about our character if we think it’s acceptable to fabricate a quote and put it in the mouth of the Buddha? This is obviously meant to be a version of Verse 2 of the Dhammapada: “Mind precedes all mental states. Mind is their chief; they are all mind-wrought. If with a pure mind a person speaks or acts, happiness follows him like his never-departing shadow.” But “we become what we think” isn’t quite the same. It’s very similar to “The mind is everything. What you think, you become,” which also purports to be a translation of the Dhammapada. In this verse of the Dhammapada, the Buddha is talking about how our experience becomes habitual. If we habitually respond to life with thoughts and emotions that are aversive or grasping, we’ll experience greater suffering. And if we respond with mindfulness, patience, and compassion, we’ll experience greater joy. Again, it is what we do in our thoughts, speech, and action that is the determinant of our happiness, not our thoughts alone. When you know for yourselves that, “These dhammas [teachings/beliefs/practices] are unskillful; these dhammas are blameworthy; these dhammas are criticized by the wise; these dhammas, when adopted and carried out, lead to harm and to suffering”—then you should abandon them. The Buddha is suggesting that experience and observation are what we should ultimately rely on for spiritual guidance. Without them, we may end up simply believing what accords with our preconceptions, even if it bears no connection to reality. Logic may tell us, for example, that there has to be some unchanging essence within us (a metaphysical “self”) that defines who we are. But can we find such a self in our direct experience? Is there any part of us that is unchanging? 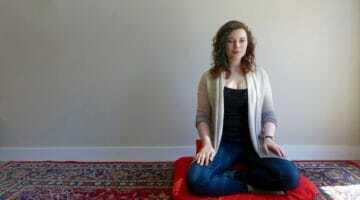 Buddhism offers meditative tools that allow us to make that inquiry in an experiential way. The main thing that gives this quote away is its polished, literary quality. The Buddhist scriptures come from an oral rather than a written tradition, and tend to be stylistically rather basic, often being highly repetitive and employing lists of synonyms or near-synonyms. Also, the term ennui is strikingly modern. 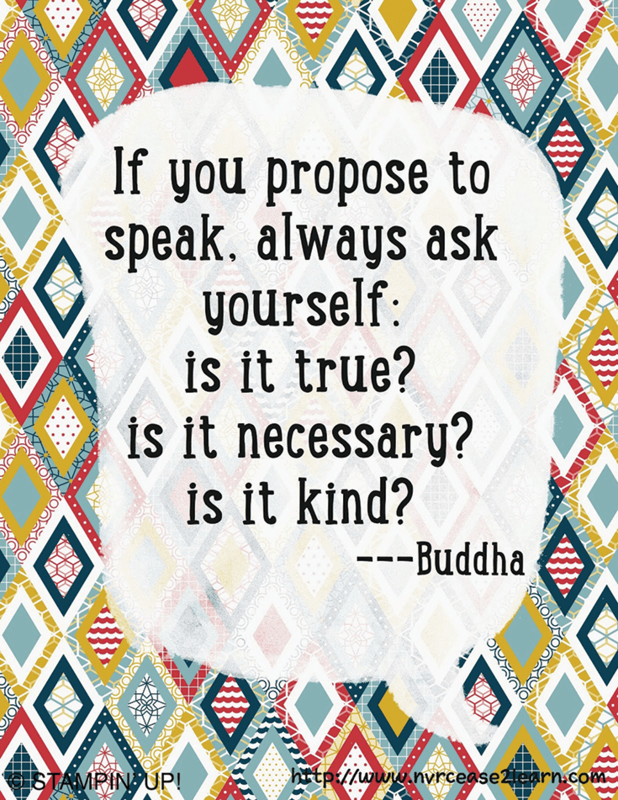 If you propose to speak, always ask yourself, is it true, is it necessary, is it kind? He might have, but these aren’t his words. One objection I often hear to my investigation of suspicious quotes is that it’s the meaning and spirit of a quote that are important, not who said it. And it’s true that just because a quote is fake doesn’t mean that it’s wrong or spiritually invalid. Some fake quotes are so Buddhist that I wish the Buddha had actually said them. 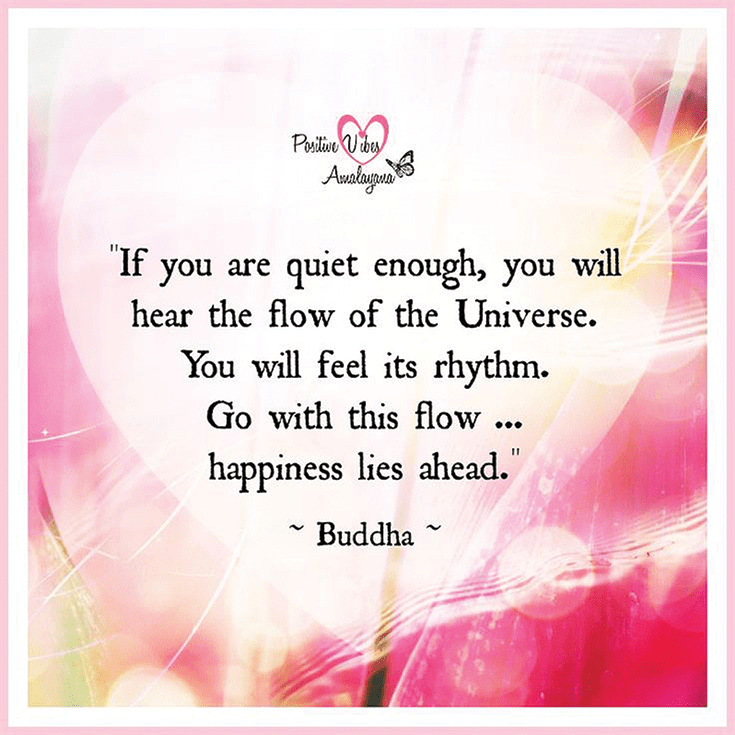 This particular quote is actually based on the words of Mary Ann Pietzker, a Victorian poet, but it certainly isn’t at odds with the Buddha’s teachings. In fact, it strikingly resembles the suttas. So what’s the problem? 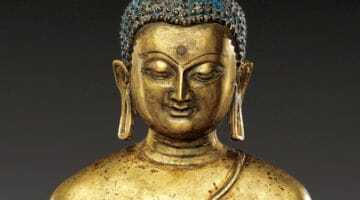 The problem is that to attribute a quote to the Buddha is to make a claim about fact: “This is something the Buddha said.” A quote may be in line with the Buddha’s teaching, and may even be inspiring and spiritually useful, but surely it’s better to get our facts straight. After all, didn’t the Buddha have a few things to say about truthful speech? Bodhipaksa is a Buddhist teacher and writer. He is the founder of Wildmind.org and runs FakeBuddhaQuotes.com. His forthcoming book I Can’t Believe It’s Not Buddha! will be published by Parallax Press in the fall of 2018.